We are a family owned business “Where We Care & Protect” your adorable four-paws family members. We have dedicated our lives to provide our Clients and our Pets with the highest quality medicine and surgery in a professional and caring environment. Our goal is to be your Pet’s health advocate through preventative medicine. in Cherokee county, and has been serving pets for over 25 years. When you bring your pets to Woodstock Veterinary Hospital we treat them like they are our family. Our staff and veterinarians are highly trained and passionate in providing the very best quality medicine in a compassionate and caring environment. You will always find a friendly face eager to help you with all of your pet’s needs when you walk through our doors. Dr. Wilmer Bustelo, I was born in Rio Piedras, Puerto Rico, and lived on the island for 20 years. I studied Animal Science at Puerto Rico – Mayaguez” and then transferred to the University of Georgia. I went to veterinary school at Tuskegee University, graduating in 2000. Afterwards, I completed a small animal medicine and surgery internship at Purdue University; this is where Dr. Salazar and I met. 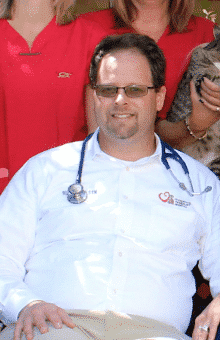 We moved to Coral Spring, FL where I practiced emergency medicine for 4 years. In the summer of 2006 we moved to Woodstock, GA after having purchased Woodstock Veterinary Hospital. I really enjoy the great outdoors, and a perfect vacation for me would be one spent hiking, riding my bicycle, and camping. I really enjoy spending time with my family: Ryan, Mia, and Stella. 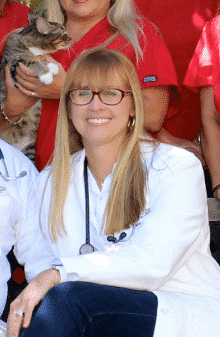 Dr. Maria Cristina Salazar, I am one of the veterinarians here at Woodstock Veterinary Hospital. I was born in Ft. Campbell, KY when my father was in the military, and have lived in Honolulu, Panama, and Puerto Rico. We moved to Puerto Rico when I was six years old, and lived there for fourteen years. At the age of twenty I moved to Raleigh, NC to attend NC State University, where I obtained my Bachelor’s degree in Animal Science. I completed my Veterinary Medicine and Surgery degree at Purdue University School of Veterinary Medicine in West Lafayette, IN in the year 2001. I met Dr. Bustelo at Purdue during my senior year, while he was completing his Small Medicine and Surgery Internship. After graduation I moved to Champaign-Urbana, IL to participate in a Small Animal Medicine and Surgery Internship at the University of Illinois College of Veterinary Medicine. In 2002 we got married in Puerto Rico and moved to Coral Springs, FL, where we lived for four years. I worked at Boca Greens Animal Hospital in Boca Raton, FL during this time. 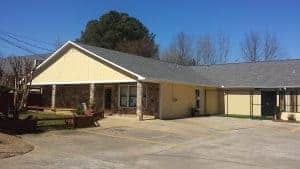 In 2006 we purchased Woodstock Veterinary Hospital, completing one of our life-long dreams of owning our own animal hospital. We have three beautiful children that enhance our lives: Ryan, Mia, and Stella. We also share our home with our beloved Weimaraner Ashley. At the hospital we have three cats that keep our hospital environment exciting: Sassy, Lambo, and Lizzie. My hobbies include photography, scrapbooking, and spending quality time with my family. I feel truly blessed to have such a beautiful family, a successful animal hospital with the best team possible, and the most wonderful career in the world!